Check out our interview with one of the unsung heroes of tokusatsu suit & stunt acting, Mizuho Yoshida. Photo by Jonathan Peter Lee. 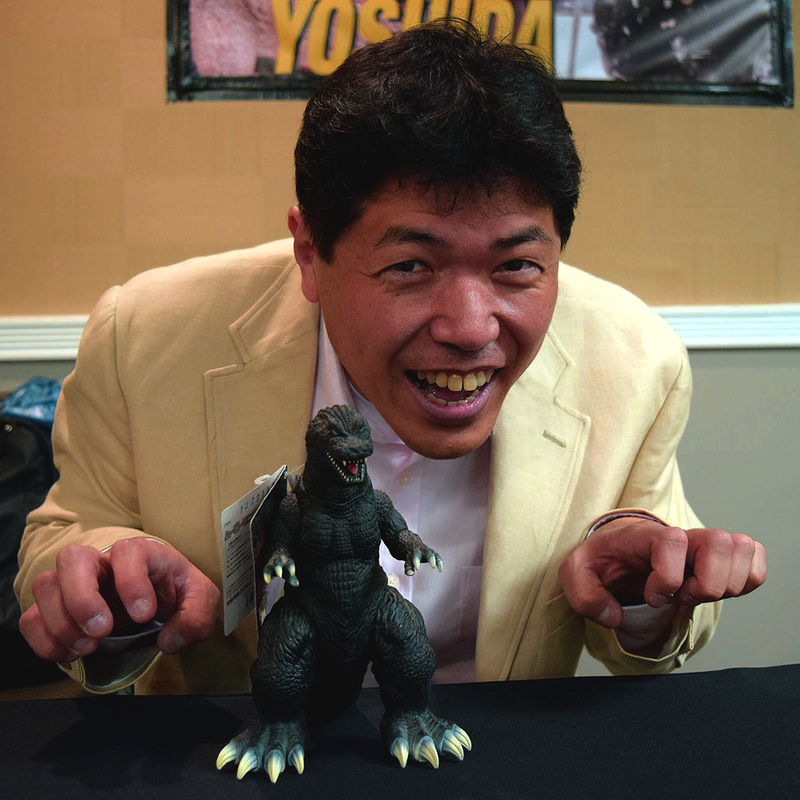 I am so happy to finally share this short interview with stunt and suit actor Mizuho Yoshida from last year’s Monster Mania in Cherry Hill, NJ. As many of the listeners know, I am a massive fan of the 2001 film commonly referred to as “GMK” by the fans. Yoshida played Godzilla in that epic film, but also the titular villain from the Zeiram duo-logy (1991 & 1994) and Cyber Ninja (Mirai Ninja – 1988), Death Ghidorah and Dagarla from the first two heisei Mothra standalone films (1996 & 1997), Legion in Gamera 2: Advent of Legion (1996), Zedus in Gamera The Brave (2006) and Raiga in Deep Sea Monster Raiga (2009). Right?? So many awesome monsters! Yoshida-san was a fantastic interview subject, a great convention guest and I really hope he makes it back to the states for another show soon — plus he said he’d be on the Kaijucast again, so hopefully we can look forward to another interview in the future! Make sure you listen to our 6th annual LIVE broadcast, filled with amazing guests, awesome music, trivia giveaways, a live chatroom and a ton of fun! It all goes down SUNDAY, JANUARY 29th at 2PM PST. Don’t miss it! Check out all of the details here for the 6th Annual EMERGENCY BROADCAST!